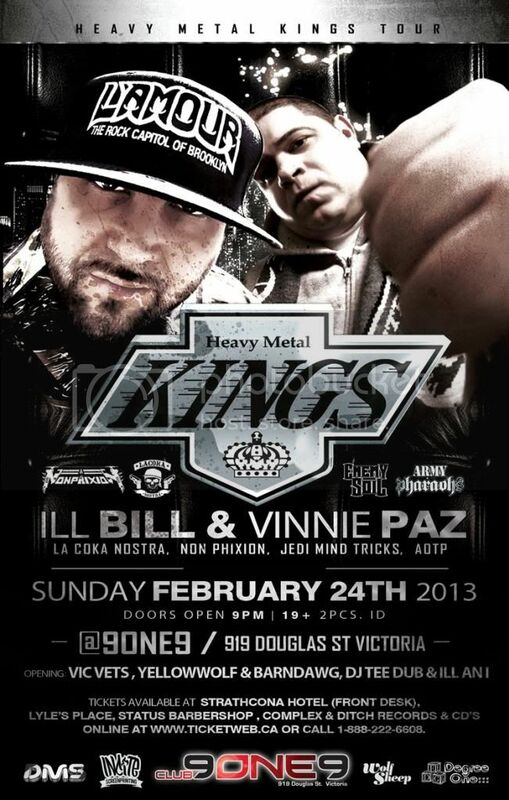 Degree One Events: HEAVY METAL KINGS = VINNIE PAZ & ILL BILL. HEAVY METAL KINGS = VINNIE PAZ & ILL BILL. w/ special guests Vic Vets, YellowWolf & Barndawg and DJ Tee Dub. Two of the fiercest MC’s in the game join forces to create The Heavy Metal Kings. For the first time ever we welcome the founder,producer & CEO of Uncle Howie Records Ill Bill & Jedi Mind Tricks MC Vinnie Paz.